Customize your LED alerts with Blink for BlackBerry | BlackBerry Blast! 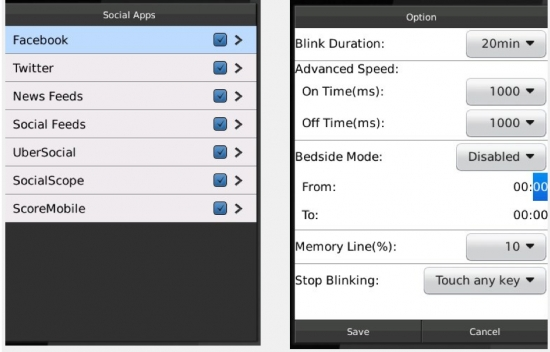 Take control of your LED alerts with Blink. If you're looking for a way to customize the LED alerts on your BlackBerry, Blink has you covered. With Blink you can choose the LED color your want for any of 30 alerts. You have 20 colors to play with and can even change the speed of the alerts. If you'd like to have a different color based on a certain contact you can set that with Blink. Blink sells for only $3.99 and can be purchased with the Buy Link above.